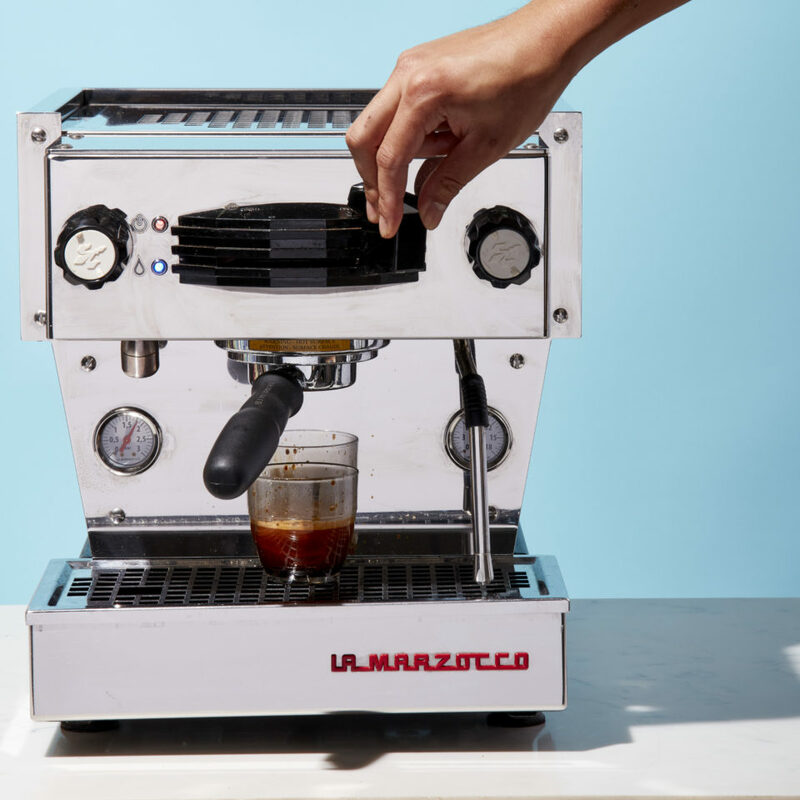 Weigh 25g of coffee and grind on a medium-coarse setting to a coarseness of sea salt. 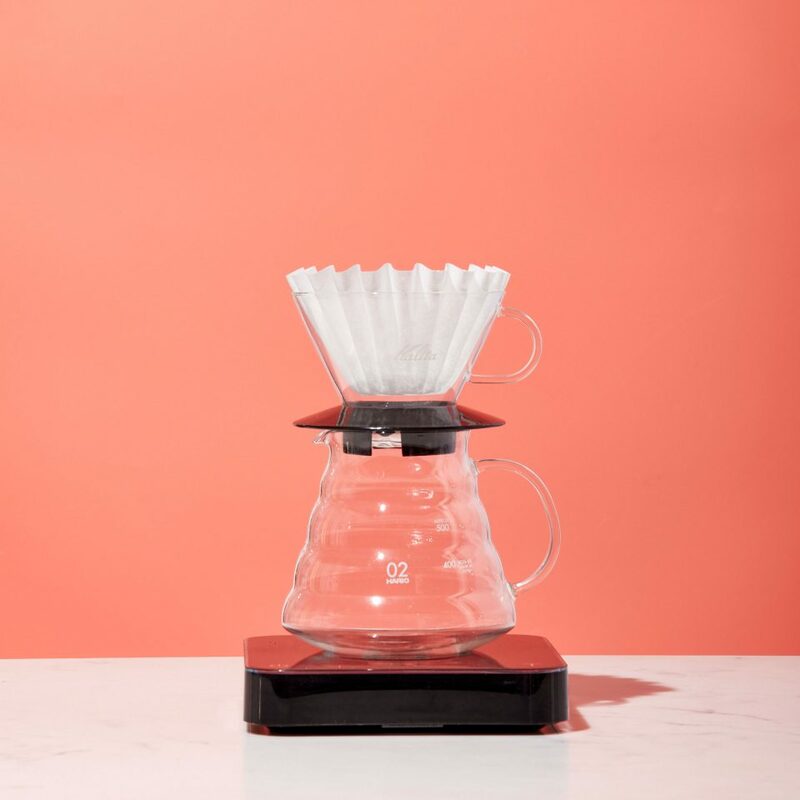 Set up the Kalita Wave, filter, and vessel on the scale. Heat 400g of water in the kettle to 208 degrees Fahrenheit. Gently pour hot water into the center of the empty filter. Continue pouring in a spiral outwards to wet the entire filter. Be careful not to pour too hard as the filter can collapse. Empty the water from the vessel, place back onto the scale, and tare to zero. 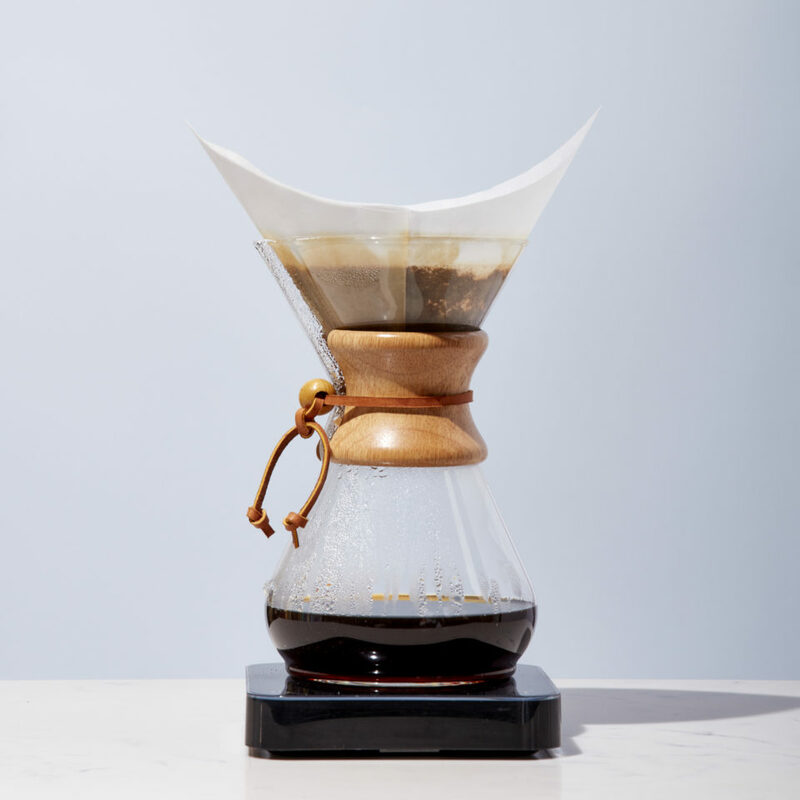 Add the coffee to the Kalita Wave with the vessel on the scale, ensuring that you add 25g of ground coffee, and tare to zero. Start the timer and pour 50g of hot water over the coffee, ensuring all the grounds are saturated. When the timer reads :30, start pouring in the center and spiral out in concentric circles until you reach the edge. It’s okay to pour onto the filter itself. Continue your concentric circles back into the center of the brewer. At this point, continue to gently and steadily pour in concentric circles, maintaining the slurry level of about 1” above the coffee bed. You should hit 400g of water added by 2:15-2:30. 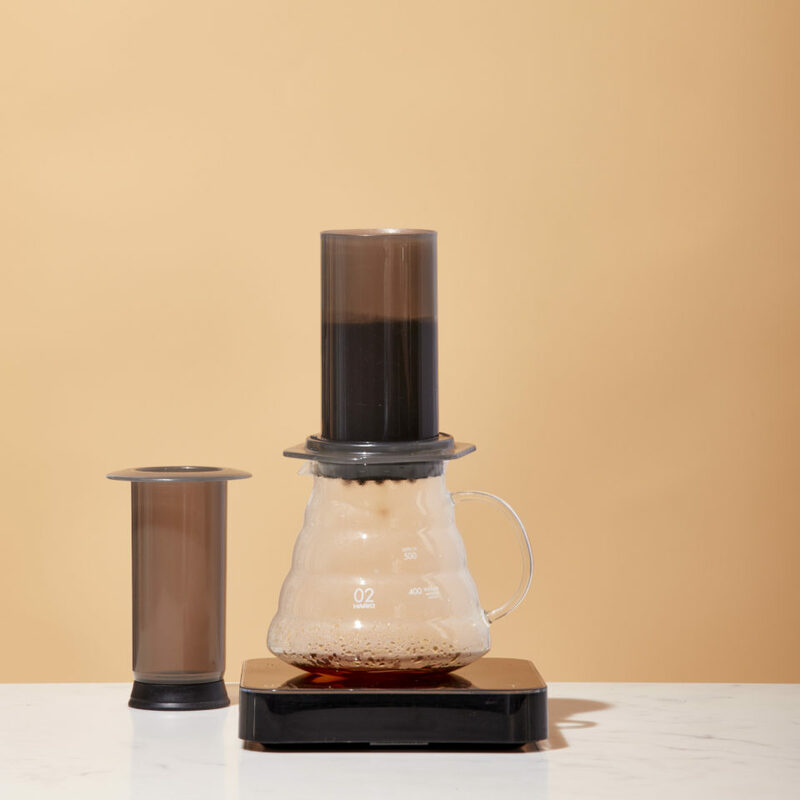 Wait patiently as your coffee drips. The drawdown should finish by 3:15-3:30.